Join our team and help keep our grounds beautiful and our visitors informed! For information about the Full-Time Seasonal Grounds position, click here. For information about the Part-Time Seasonal Grounds position, click here. For more information about the Visitor’s Center & Gatehouse Attendant position, click here. 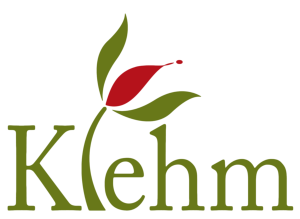 Klehm Arboretum & Botanic Garden honors members belonging to participating gardens that fall outside the Rockford, IL area. Do you want free admission to over 300 gardens? In Fall of 2018, the Nancy Olson Children’s Garden will be unveiling its new interactive water feature for kids to explore, climb on, play in, and just plain have fun with! Three distinct areas will interconnect to form a replica of a natural stream complete with stone bridge, small waterfalls, a wooded island, large boulders and a 30’ diameter splash pad so kids can cool off on warm days. Paved walkways, complete with shaded sitting areas, will bisect the new activity area creating ample vantage points from which parents can supervise the fun. Construction started the week of October 9th, 2017 and is scheduled to be completed by the Fall of 2018. Klehm would like to thank the DAO Foundation and the Olson family for making the water feature possible. …and enjoy the water feature all summer long! Donate to the Nancy Olson Children’s Garden renovations.